Okay, I'll admit, it wasn't much of a hike. I just went to a trailhead for the trail at the bottom of Little Cottonwood Canyon and hiked down to the creek which took all of 5-10 minutes, going back was uphill though so it took a little longer. It was nice to get up in the mountains and walk around even if I wasn't very far up. We had a dry winter and the peak of the spring runoff is probably a month off anyway so the creek wasn't very full but that allowed me to walk to parts that would be difficult or impossible to get to under different conditions. I took my sketchbook and a pen along. I decided to try a little experiment, to plan out a painting without any real intention of making a painting, at least not at this time. I did all these sketches on one sheet and didn't even use the whole sheet. 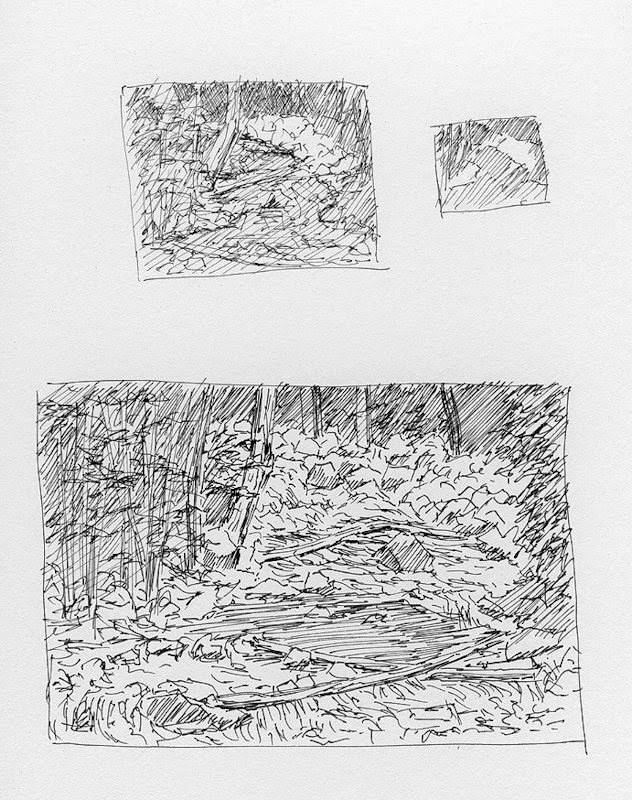 First I did the tiny thumbnail composition check in the upper right, no details just large value masses. Then I enlarged the thumbnail a bit and added a little detail for the upper left sketch. 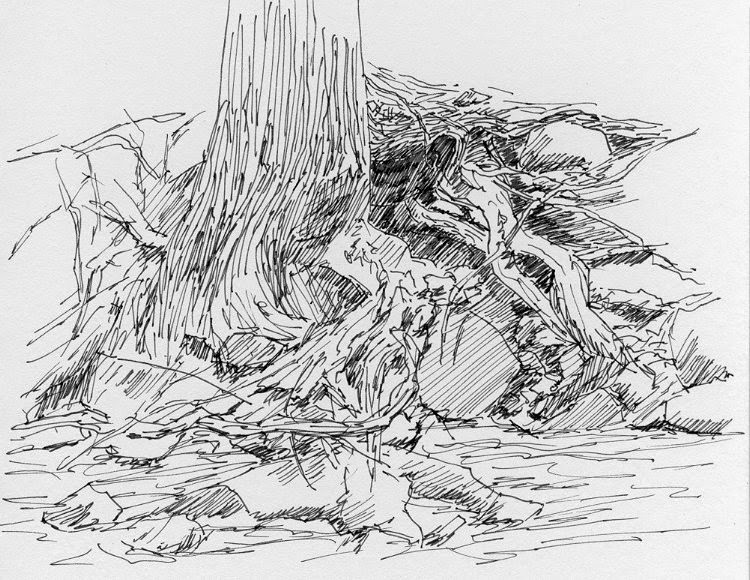 Then I did a larger sketch, though still only about 2" X 3" with even more detail and some compositional adjustments. Will I attempt a painting of this? I don't really know, but it was a good exercise. I wondered around a bit more and decided to do this little root study. Obviously there was no intention to make a finished piece of art with this. Doing little sketches like this is important for two reasons: #1 it's just good drawing practice. #2 is that it's good observational practice. I'm always amazed at what I don't see until I really look, and the best way too really look at something is to do a sketch of it. There was a part of this little scene that I thought was a rock until I got to that part of the sketch and then realized that "rock" was actually another part of the root that had turned under and so was darker. I'm betting this sketch is looking like just a jumbled mess of lines to you, but for me it was invaluable observational practice, looking at this sketch recalls all kinds of visual details in my mind. I couldn't resist getting out the palette knives again tonight. As a challenge to myself I took it even further. 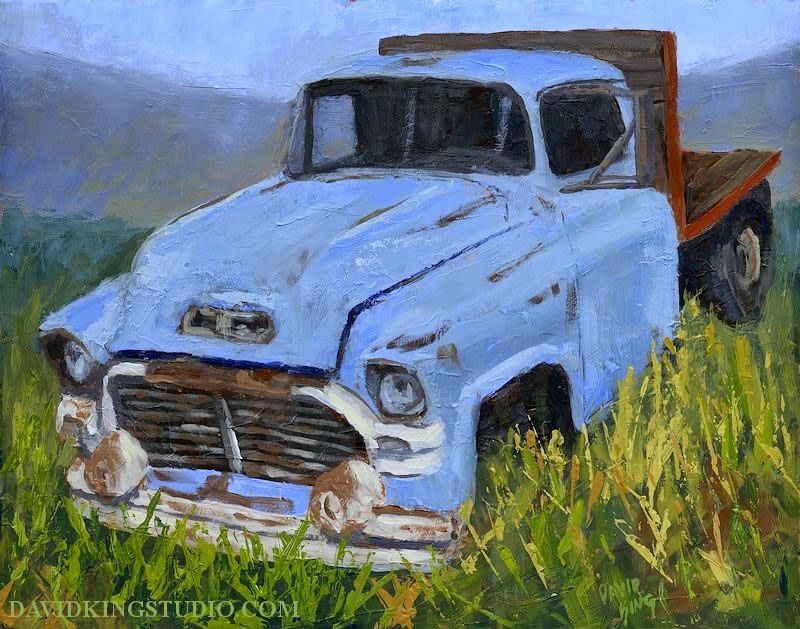 First, I painting a more complex subject, an old, abandoned truck. 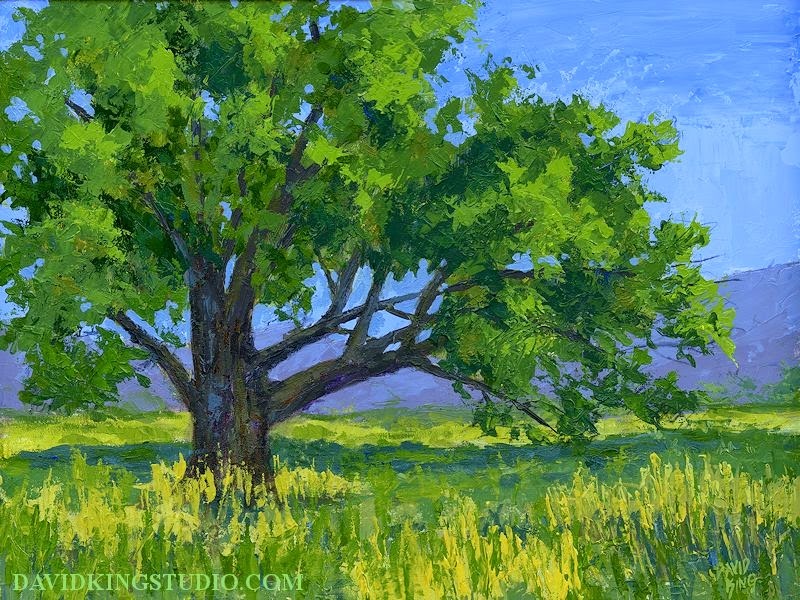 Second, I did more of the painting with the knife this time, besides the truck I also did the grass primarily with a palette knife, though some of the grass was done with a rubber tipped color shaper to add some variety. Altogether I think I used brushes to complete this painting less than any other acrylic painting I've ever done. The brushes were mainly used to tidy of some of the lines on the truck and to add some details. I found this poor old GMC flatbed truck in a salvage yard in Nephi, Utah. My many thanks to the owner for letting me wander around to take photos, I'm sure you'll see more paintings from me based on those photos in the future. I do however have a confession to make. I actually started this painting some time ago, back during my first palette knife craze, I got frustrated with it and put it away. I got it back out tonight and couldn't for the life of me remember why I was frustrated with it, I really had no problem finishing it. Were my expectations just a few months ago different? Have my skills grown that much since then? Or was my general mental state that much different? I don't know why but finishing the painting that not so long ago caused me great frustration presented no problems tonight and was a fun and exciting experience. I decided to explore the technique of applying an underpainting using a palette knife further tonight. 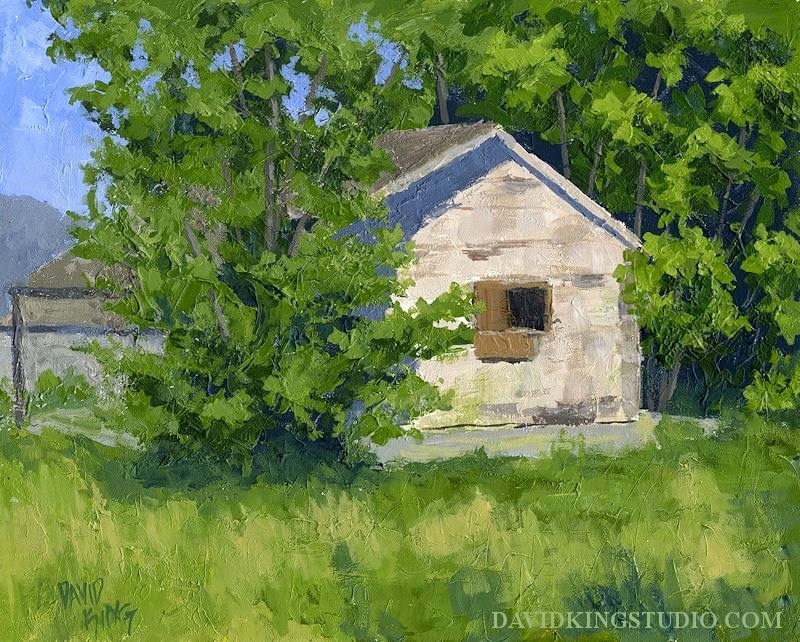 My previous paintings using the palette knife were scenes that were made up mostly of natural elements, I decided to give a man made structure a try. So that I wouldn't stretch myself to the breaking point I kept the painting small and the subject dilapidated. I tried to make the underpainting more complete than I had in the other palette knife underpainted paintings, I was able to pretty much completely cover the whole panel and the painting almost could have stood as is at that point but then I spent another hour or so with brushes tidying it up. 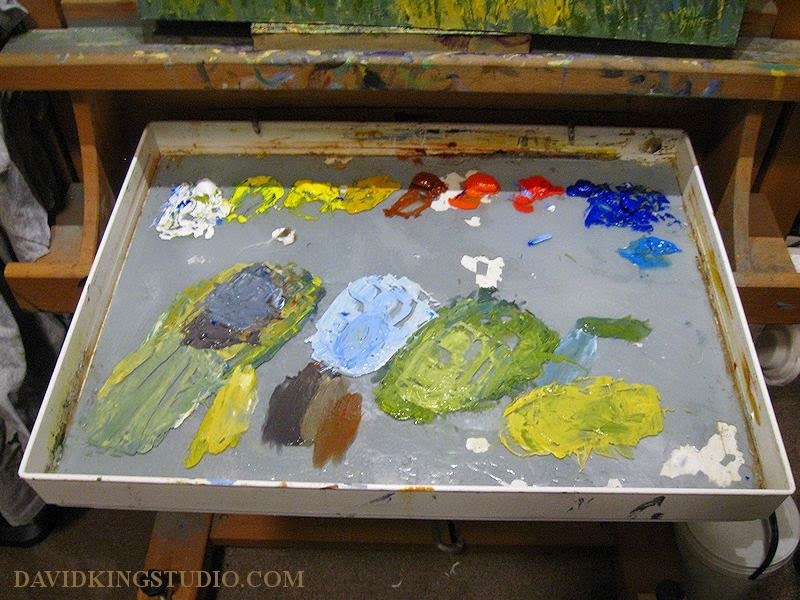 I was careful to not get too tidy though, I still wanted to maintain the looseness and texture of the underpainting so I mixed my paint using the palette knife to make sure I had a lot of it and so even the brush applied paint was heavy and added it's own texture. I think I'll continue to explore and develop this technique, it may even become my primary style. I found this little abandoned house being reclaimed by nature in the small Utah town of Fairfield. Fairfield is located pretty much in the middle of nowhere but it has the claim to fame of being the largest army base in the country for a short time way back in the mid 1800's.